Buying new art supplies is not the only way to get a fresh approach to painting. ​Artists may also want to try simply holding a paintbrush in different positions. ​The painter’s sensitive hand streaks across the painting and oil paint flows from the paintbrush. The bristles swipe the canvas in strokes, dots, fills, and blends. The paintbrush can make a variety of marks, but, even so, painting is not like writing. A paintbrush can move in any direction over the canvas. Thus an artist that holds a brush as if holding a pencil or pen limits the range of those marks or strokes. This position uses the tip of the brush. 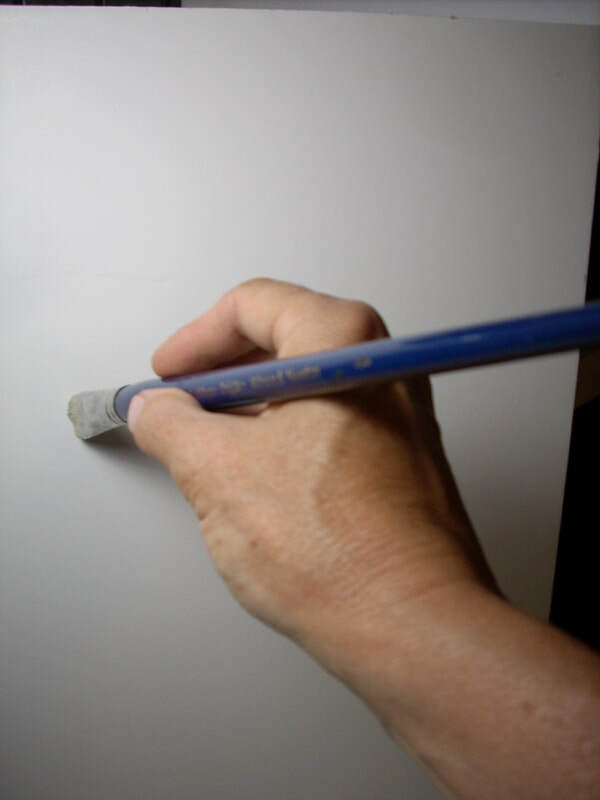 The hand holds the brush in the same way as holding a pencil for writing. 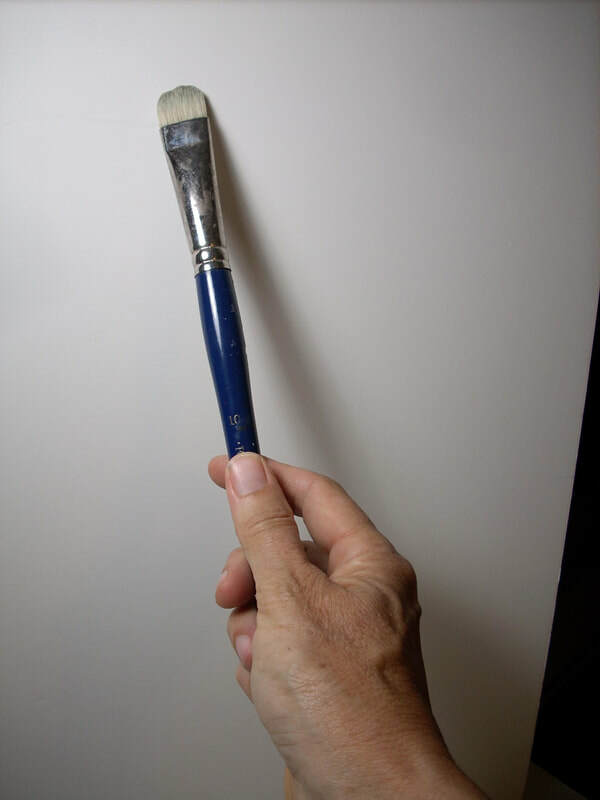 In painting, however, the artist may hold the brush several inches away from the tip. Holding the brush about midway up the handle allows for a more sensitive stroke. That means more variety in the kind of marks made on the canvas. For fine details, the artist may hold the brush on the metal ferrule, close to the bristles. This gives great control and enables precise details. Placing the pinky on the surface while painting adds stability. Some artists use a maulstick that allows the hand to rest just above the surface of the painting. For broad strokes or spreading paint quickly and evenly over the surface, the side of the brush is used rather than the point. The bristles ride over the surface filling in areas with color. 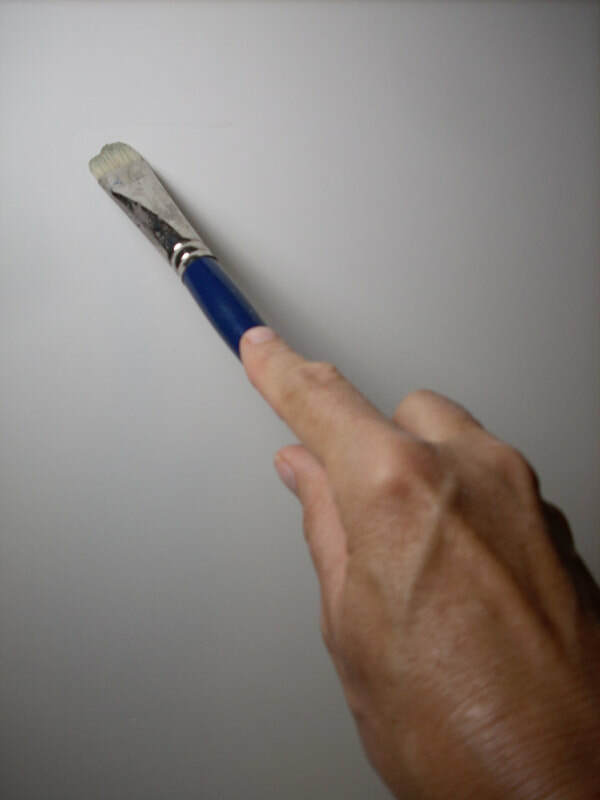 An overhand grip with the thumb along the side allows the artist to fully press the bristles of the brush to the canvas. The artist holds this position further out from the ferrule, about midway up the brush. Often the forefinger is extended along the top for precise control. The wrist is usually held firm. The arm does most of the motion. This hold also uses the side of the brush, but the grip is like holding a conductors baton. It’s a firm grip where the thumb rides on the top of the brush handle. With the palm open, the brush handle across the hand, the fingers close around the handle with the thumb on top. This position can be along the middle of the brush, or, better yet, closer to the end of the handle. Flexing the wrist in smooth rounded motions creates a variety of marks. Dabs and dots excel in this method. Also, holding the brush closer to the end encourages using the whole arm. ​Why Use Different Positions? Most artists want to become fluent at letting a paintbrush flow over the surface of a painting. 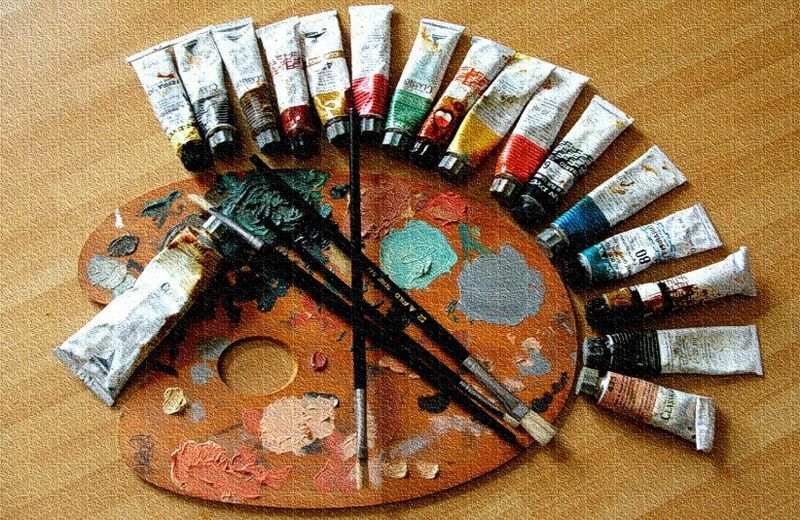 Paintbrushes held in different positions can create details, broad strokes, or smooth fills. Knowing several ways to hold a brush for painting in oils can add variety to an artist’s repertoire. In fact, experimenting with different working methods can help bring freshness to an artist’s work. One easy way to make a change in method is to try holding that paintbrush in a new way. Read more SimpleTens articles about painting techniques and materials. Have a response to the SimpleTens article on How to Hold a Paint Brush?